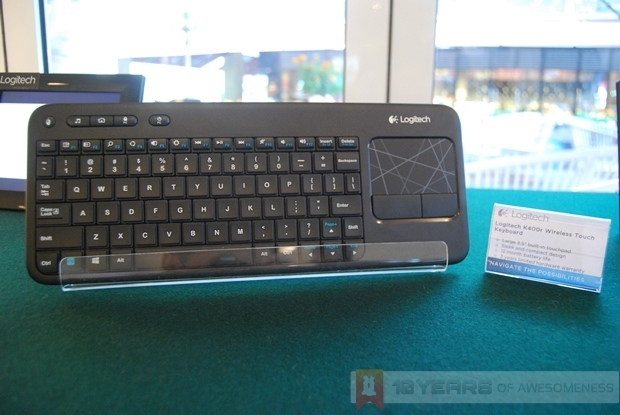 With the slew of devices powered by Windows 8, it was only a matter of time before Logitech, a brand renowned for its high-quality computer peripherals, introduces some new touch-and-gesture friendly peripherals as companions to Windows 8. 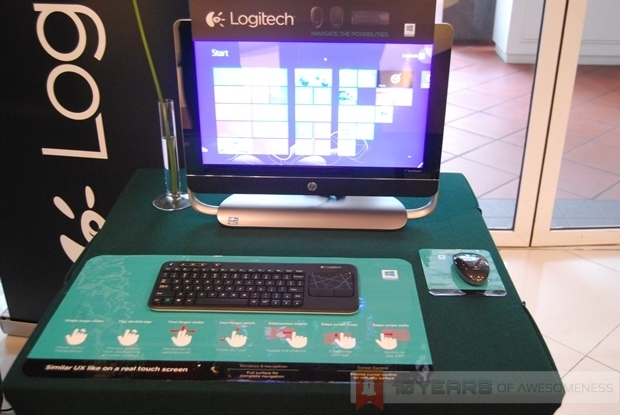 And so it proved recently as Logitech launched three new peripherals – optimised for Windows 8. 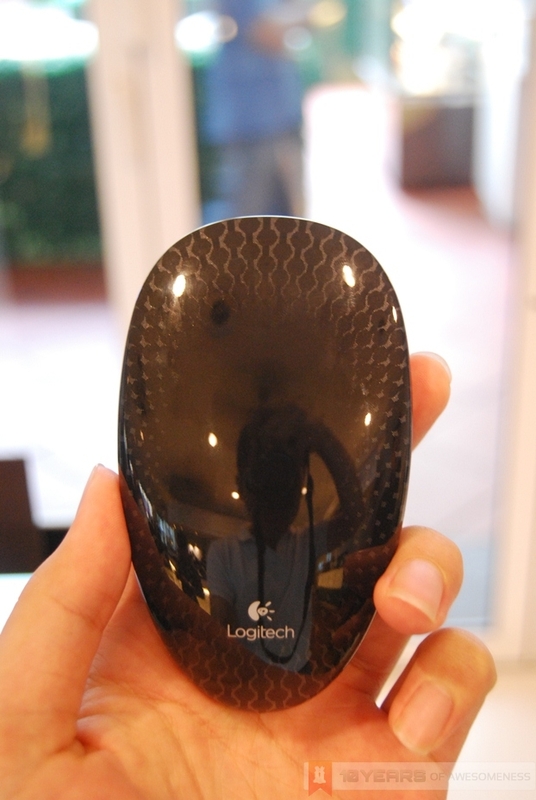 First up was the Logitech Zone Touch Mouse T400. Designed to ease consumers into a touch-friendly device, the T400 has the traditional mouse button layout, but replaces the scroll wheel with a glass touch surface, which can still be used for scrolling. A quick click on the touch zone brings you back to the Start Screen for quick access from any app. The mouse is also wrapped with rubber on the sides, giving consumers greater control for any kind of grip. The T400 uses two AA batteries and has an estimated battery life of 18 months. Next, there is the Touch Mouse T620, which features a full-touch glass surface. With its unconventionally comfortable design, the focus is on the glass touch surface. The buttonless layout makes it gesture-friendly, similar in the way a touchpad works. With up to 10 gestures supported, the Touch Mouse T620 negates any need for users to reach out to touch displays, as users can use intuitive and natural gestures to switch applications, show the desktop, or even open the Charms sidebar. The T620 can use one or two AA batteries at any one time, with an estimated battery life of between three months (one AA battery) or six months (two AA batteries). Both mice feature Logitech’s Advanced Optical Tracking for more precise tracking on more surfaces, as well as Advanced Wireless technology that is more reliable than standard wireless mice. It also utilises the Unifying receiver, meaning that one USB receiver can connect up to six compatible Logitech peripherals, freeing up precious USB ports. 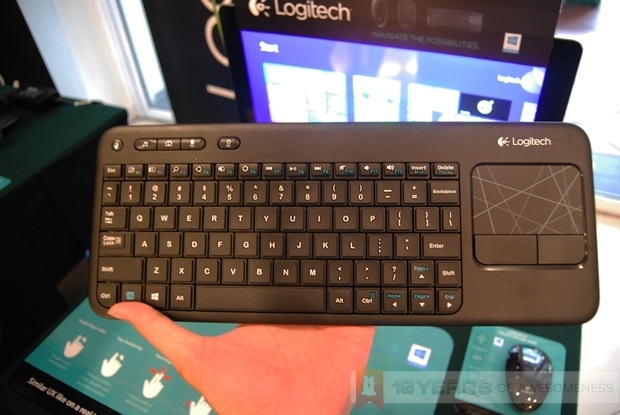 Finally, Logitech also announced a successor to the K400 keyboard, the Wireless Touch Keyboard K400r. The K400r replaces the numpad of a traditional keyboard in favour of a 3.5-inch touchpad complete with left and right-click buttons. This compact and stylish keyboard allows users to use it virtually anywhere, and still be in complete control of Windows 8, with its touchpad supporting all of Windows 8’s gestures. 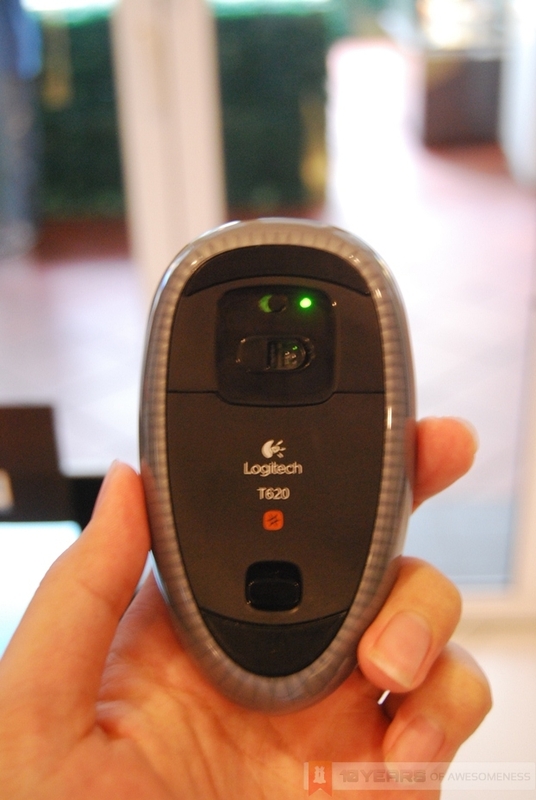 The K400r is different from the two mice in that it recharges via USB instead of AA batteries. However, the battery in the K400r is slated for up to two years of use. Also, all three peripherals are not only ready for Windows 8, but are also compatible with older versions of Windows. 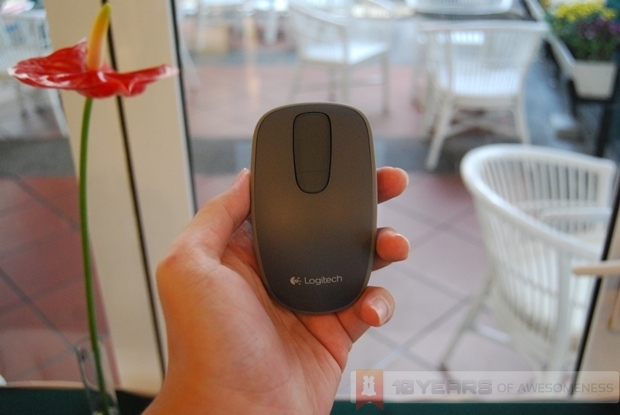 The Logitech Touch Mouse T620 will retail for RM199, while the Touch Mouse T400 is priced at RM149. 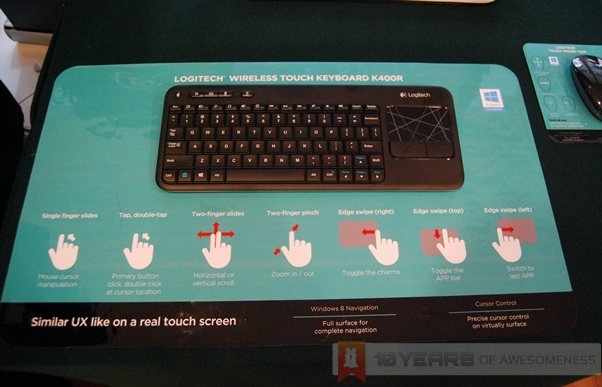 The Wireless Touch Keyboard K400r will also be sold at RM149. All three peripherals are available in stores now. 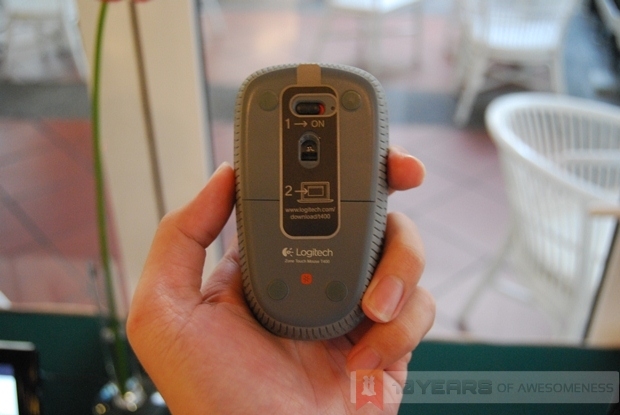 For more information, head on to Logitech Malaysia’s website here.